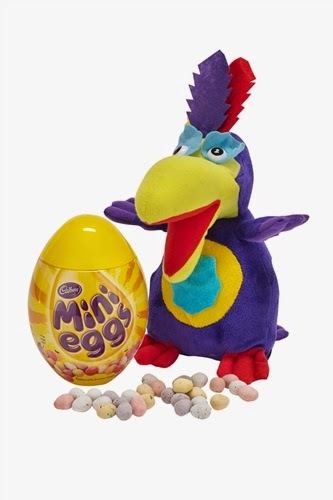 With Easter comes the fun of Easter Eggs, Easter Bonnet Competitions, Hot Cross Buns, and the lovely long Easter break. 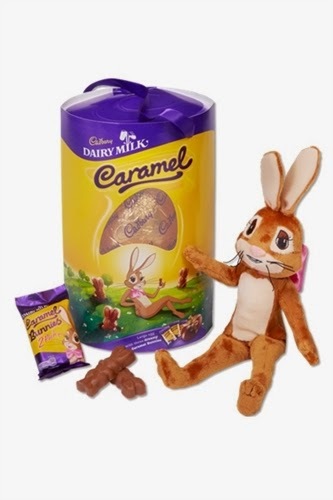 So with that mind mind, we've put together a selection of must haves and how to's to see you through Easter. It's not Easter without Easter Eggs. Well it is, but the giving of Easter Eggs date back through history, originally as the giving of painted chicken eggs, and then later as papier-maché eggs, in which small gifts were hidden. 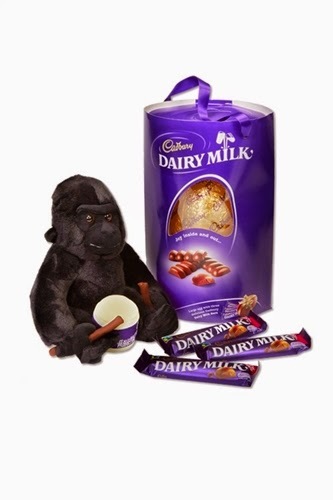 The first chocolate Easter eggs were made in Europe in the early 19th century, but it was not until 1875 that John Cadbury made the first Cadbury Easter Egg, and without his invention we possibly wouldn't be where we are today. Just like Easter eggs, Easter bonnets are a staple element of the Easter celebrations. If you've been presented with the challenge either for your children to wear in a competition at school or at Brownies or Cub Scouts we have all the inspiration you need to create a bonnet with the wow factor. Decorations - e.g, chocolate eggs, fake eggs, Easter chicks, crepe paper, flowers. Start by painting the paper plate a bright colour, then place all the crafty decorative bits in front of your child with some glue and scissors and let them create their own masterpiece on the underside of the plate. When they've finished 'crafting', attach a length of ribbon to either side of the plate, and put it on the child's head. Tie the chin-strap in a bow underneath to keep it in place. Boys, when they get a little bit older might not be prepared to wear a traditional Easter Bonnet, so why not trade the traditional bonnet for a baseball cap, and decorate in much the same way as you would a traditional bonnet. We spotted a great idea on netmums for an Easter Bonnet which is suitable for boys and girls, and it's this Baseball Chick 'bonnet'. Simply decorate a baseball cap with tissue paper and felt and you've got a great Easter chick hat. Tip the flour into a bowl and stir in the salt, mixed spice and sugar. Rub in the butter with your fingertips. Stir in the dried fruit, then sprinkle over the yeast and stir in. Gently warm the milk so it is hot, but still cool enough to put your finger in for a couple of seconds. Beat with the eggs, then pour into the dried ingredients. Using a blunt knife, mix the ingredients to a moist dough, then leave to soak for 5 mins. Take out of the bowl and cut the dough into 8 equal pieces. Shape the dough into buns on a floured surface. Space apart on a baking sheet, cover loosely with cling film, then leave in a warm place until half again in size. This will take 45 mins-1 hr 15 mins, depending on how warm the room is. When the buns are risen, heat oven to 220C/fan 200C/gas 7. Mix the flour with 2 tbsp water to make a paste. Pour into a plastic food bag and make a nick in one of the corners. Pipe crosses on top of each bun. Bake for 12-15 mins until risen and golden. Trim the excess cross mixture from the buns , then brush all over with honey or golden syrup. The buns will keep fresh for a day. After that they are best toasted and served with butter. Make baking all the more easier with our fantastic kitchen and baking ranges. We also have a fantastic range of food mixers, priced from only £19.99 which would help you whip up something delicious in next to no time! Season the lamb. Mix together the garlic, rosemary, lemon zest and olive oil and rub this mixture over the lamb. 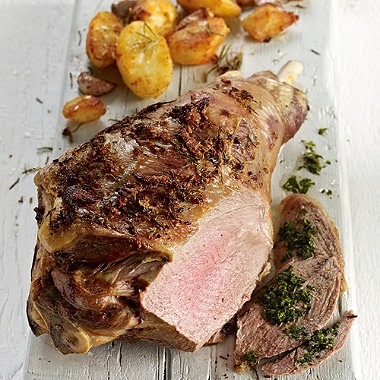 Place the lamb on a rack in a roasting tray and roast, uncovered, for about 60 minutes for rare or 75 minutes for more well done. Cover with foil and leave to rest for 15 minutes before carving. Whisk together the mint sauce ingredients and serve with the lamb. Whether you’re serving a light lunch or a big Easter meal we've got a fantastic range of Roasters, Dinner Sets, Cutlery Sets, Pans and more at 24ace. Shop today!